Once upon a time (1878), Thomas R. Gould, a sculptor from Boston, living in Florence Italy, sculpted a statue of King Kamehameha I. 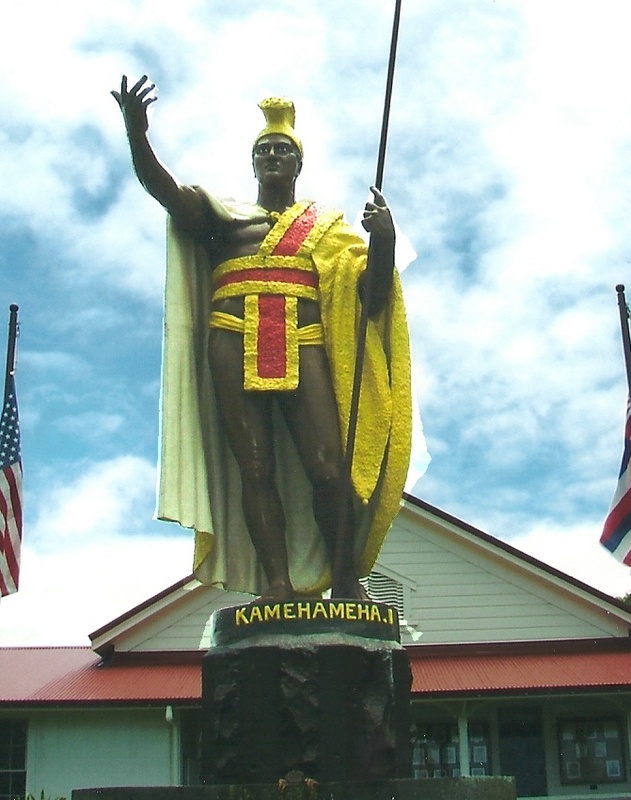 Now, the way I heard the story is that there was a debate over where the statue should be placed – the people of the Big Island wanted to for North Kohala, where King Kamehameha was born. The Government Seat, though, is in Honolulu, and the plan was for the statue to be placed there. Well! Mr. Gould forged the sculpture in Italy, and sent it off to Honolulu by ship. The ship sank somewhere around the Falkland Islands, near Cape Horn, and the statue was lost at sea. Mr. Gould made another sculpture and sent that one, again, to Honolulu. That one arrived safe and sound and was erected in in front of Aliiolani Hale (Hawaiian State Supreme Court), and dedicated in 1883. BUT THEN, in 1912, the original statue was recovered, restored, and guess where it now sits! 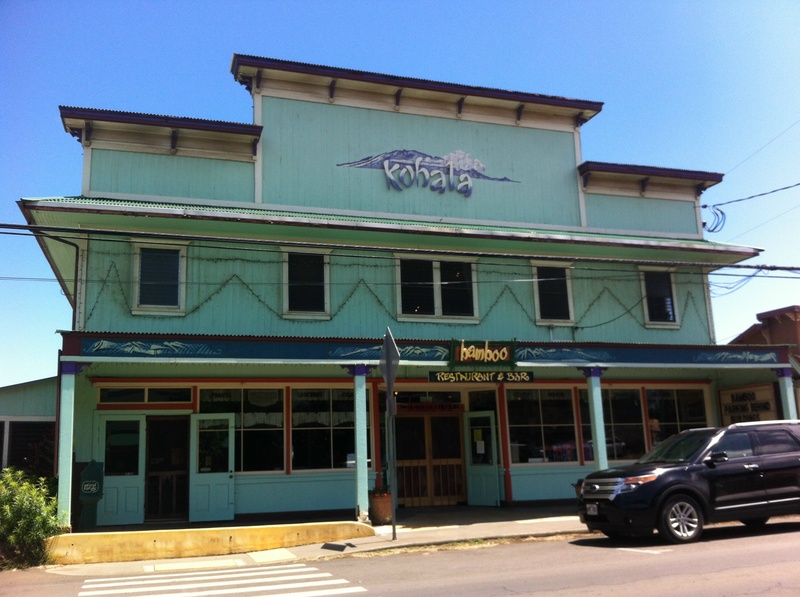 North Kohala, in a little town called Kapaau. I don’t know which town is which, when I remember them, but there’s Hawi and Kapaau, and they are only about 2.5 miles apart. So, if I tell you all about it, and you get there and it’s not how I explained, just go on to the next town. 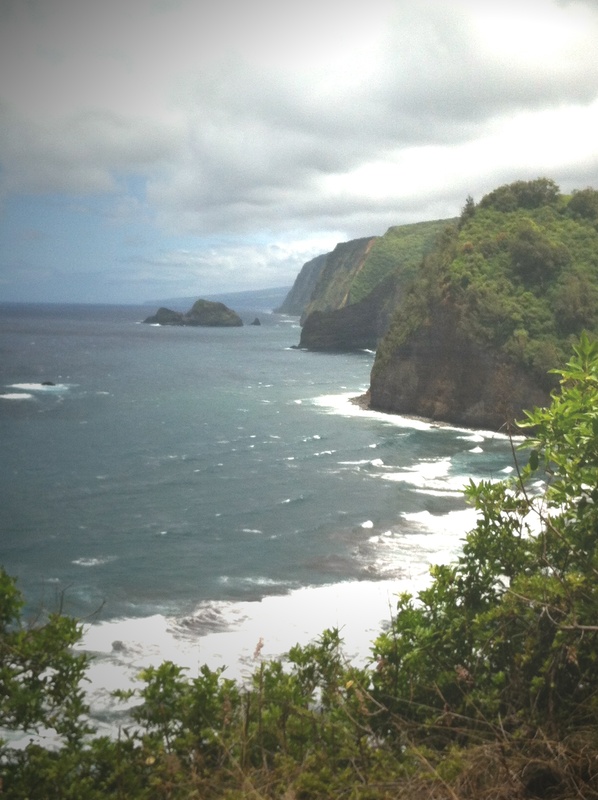 But, we (each time) have been passing through – to and from Pololu Valley Lookout. 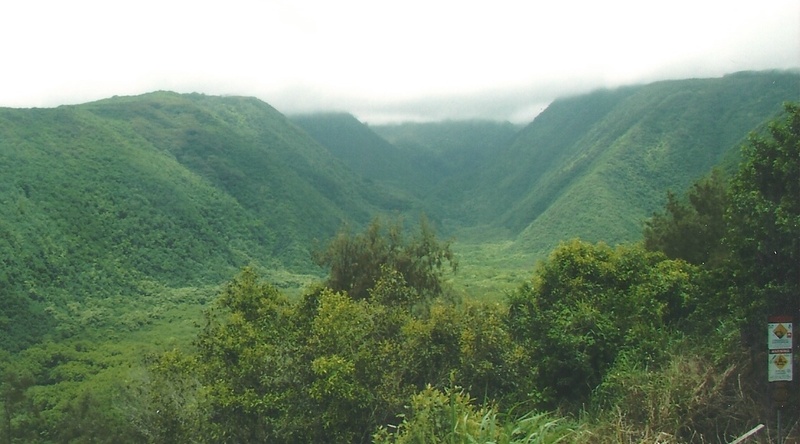 Pololu Valley is like the sister valley to Waipio Valley, and in fact, you can see the jut-out from Waipio if you look way beyond Pololu. Hmmmmm. 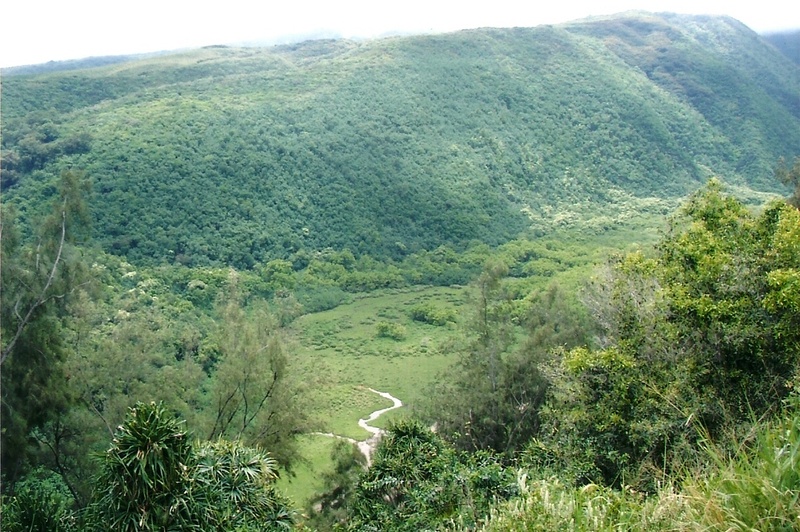 There was a tour and trail that went to, and around, Kapaloa Falls. Apparently, the waterfall dropped 300 feet above and 200 feet below the trail! 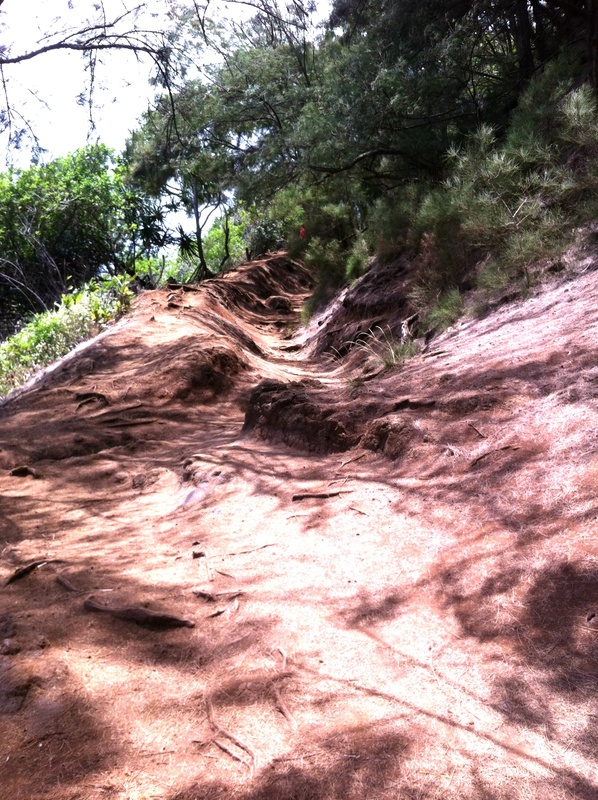 However, the trail was destroyed in Hawaii’s big earthquake a couple of years ago, and there’s no access anymore… Keep your eye out, though. Maybe someday it’ll be re-opened? 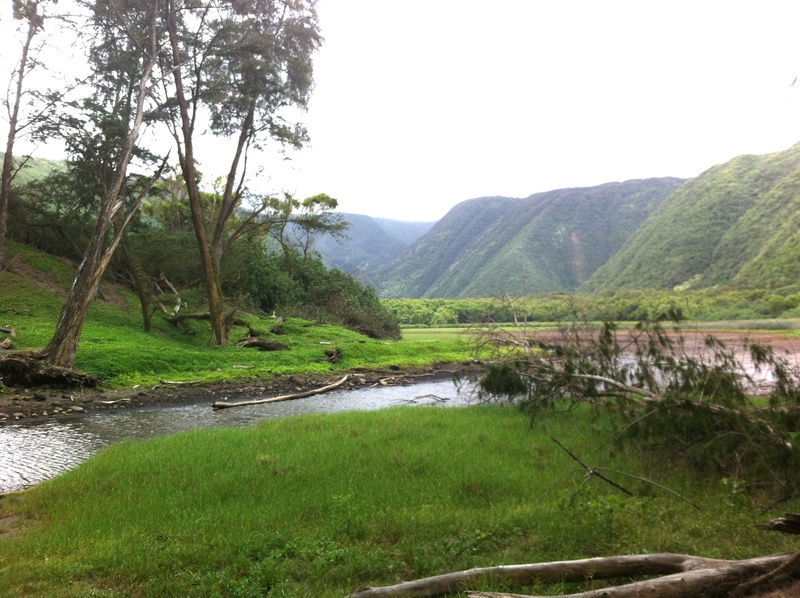 Just down the road (30 minutes South of Hawi and 20 minutes West of Waimea) is Hapuna Beach. 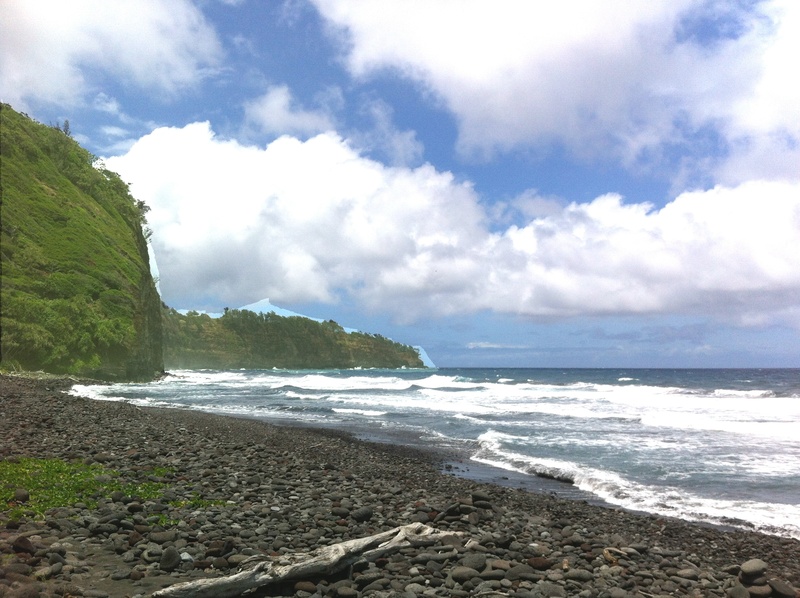 I’ve talked about black sand and green sand beaches. This is the WHITEST sand beach I’ve ever seen! 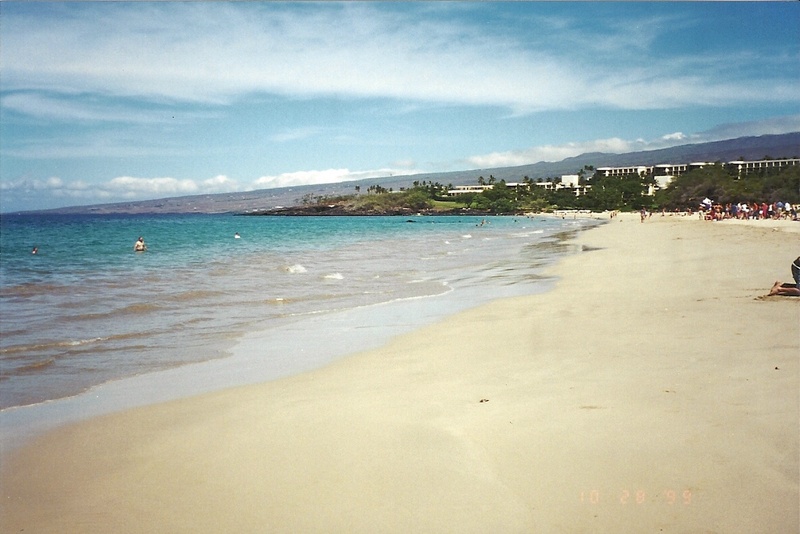 There is now a $5 entrance fee for non-residents, but not only does that include almost 62 acres of fine, white sand, but it has restrooms, drinking water, lifeguard services and is right beside the Hapuna Beach Prince Hotel, which has restaurants and lounges, and, of course, accommodations. OK! So if you’ve been looking at a map at all, you will know that we’ve gone around the whole island, and are now coming down the stretch to the Kailua-Kona area. Many would say I saved the Best for Last 😀 (refer to my Kona vs. Hilo blog!) I love both sides for different reasons. But, for a certainty, without bias, Kona-side as ALOT to offer! We are going to talk about… the Seahorse Ranch next. And, Petroglyphs, I think. 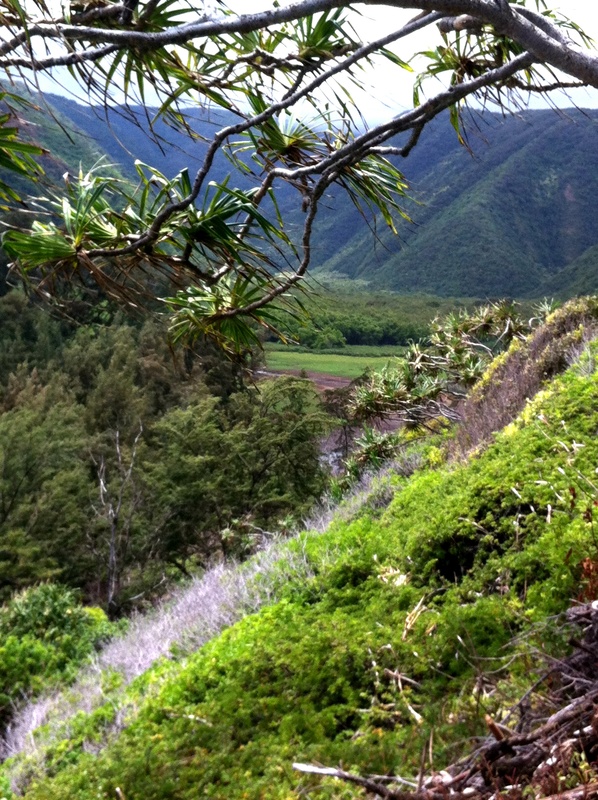 My husband and I hiked down into the Pololu Valley a few years ago. 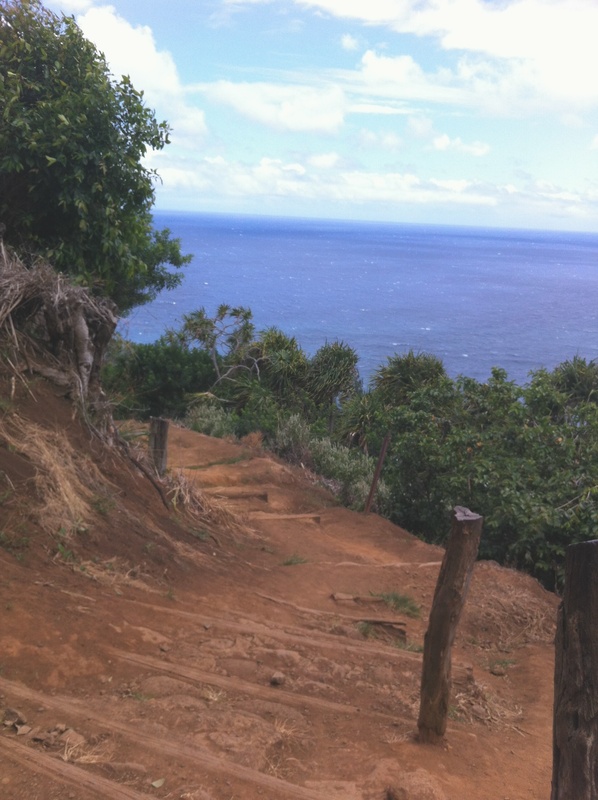 We hiked a lot on that Hawaii trip, but I think that was my favorite one. So beautiful! But steep! We were grateful for the walking sticks people had left at the top. We only visited the Big Island so I imagine we went to many of the same places you did. We were there when the huge earthquake hit Japan. For a week or so prior to the earthquake, volcanic activity in Volcanoes National Park had been increasing rapidly and much of the park was closed off because of the presence of dangerous gases and large cracks in the roads. Our week ended with tsunami warnings. Fortunately Hawaii didn’t get hit with much, but it was a scary end to our vacation. I’d like to go back, and explore more of the islands. We’ve only been to the Big Island and Oahu, but constantly have the idea to make a weekend trip (at least) to Kauai, but haven’t quite made it there yet. Anyway – cool we were there at the same time – might’ve passed eachother on the boardwalk!